Our 363 Ford is the new standard in small-block Ford stroker engines. 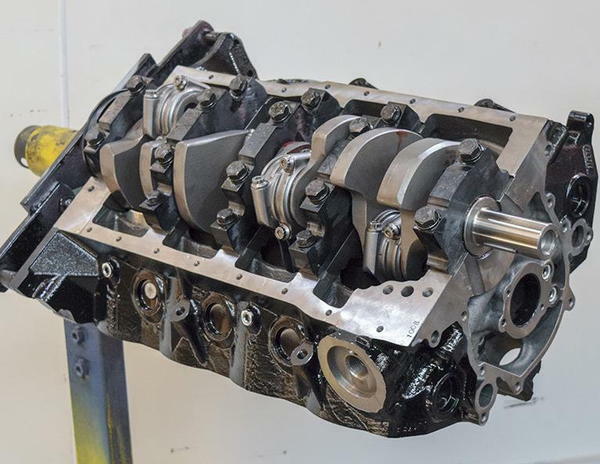 The 3.400-inch stroke provides a superior torque curve and excellent drivability while the 4.125-inch cylinder bore adds the extra cubes needed to push the power level past its 347 stroker predecessor, not to mention the increased reliability of the beefed-up 4-bolt main block over the factory 302 block. 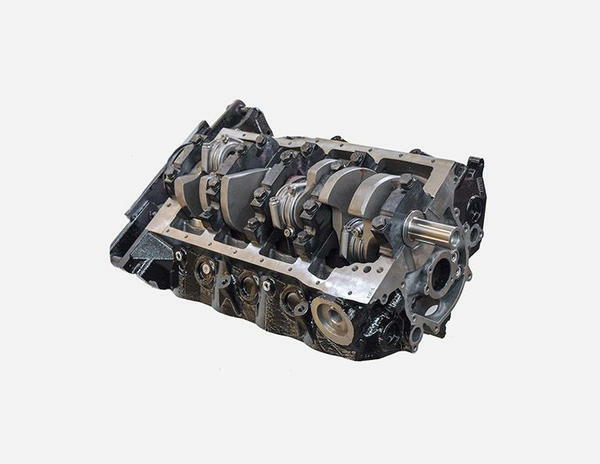 This short-block will stand up to 800 naturally aspirated horsepower. Here at Prestige Motorsports, our “Dyno Promise” means that we dyno test every engine we build to verify the quality of our work, the integrity of each component, and the reliability of every engine we construct. Then, we deliver the dyno results for your project directly to you, the customer. Every Prestige Motorsports engine is built to order and comes with a 3-year, unlimited miles warranty. Our warranty covers the base engine from intake manifold to oil pan. Ready to upgrade your project? Add a kit from each area below to convert your base engine into a turn-key package. Kits come installed and dyno tested with your engine. Please note that not all of the options listed below are available for every engine. Contact us for more details. Don’t waste time and frustration on that old carburetor. Fuel your engine with a dyno tested system for proven performance. You'll need a top-notch ignition system for trouble-free performance. Let us customize one for you with everything needed to keep the spark alive. Pulleys drive vital components. Let us install a high-quality kit that keeps your engine running and provides max clearance for cooling systems. Available in multiple finishes! Ready to take your vehicle to the next level? Blow away the limitations of your factory engine by dropping in a custom turn-key crate engine built by Prestige Motorsports. We’ve engineered each of our turn-key crate packages with a specific application in mind, and many come in a variety of configurations. Every Prestige engine is built to order, giving you complete control over looks, sound, and performance. Already have components you want to use? We’ll build around them. Finally, we dyno test every engine we produce to optimize performance, then deliver the results – and total peace of mind – to you. Each engine ships with absolutely everything the hot rodder or hobbyist needs to install and start enjoying his upgrade. When perfection counts, we’re your one-stop shop. WHY A PRESTIGE CUSTOM ENGINE? We’re not shy about the benefits of purchasing your next engine from Prestige Motorsports. Every crate we ship is packed to the gills with technology and features and built around your goals (or even the parts you already have in hand). In addition to all this, as a Prestige customer, you’ll get access to our expert team and a wealth of educational resources. We’re here to help you understand your vehicle and how to get the most from it, so we invite you to explore our custom crate engines and then contact us to schedule a one-on-one call with a vehicle customization specialist. Check out our website at www.prestigemoto.com for many more engine combinations or give us a call at 704-782-7170 and we'd be happy to help.